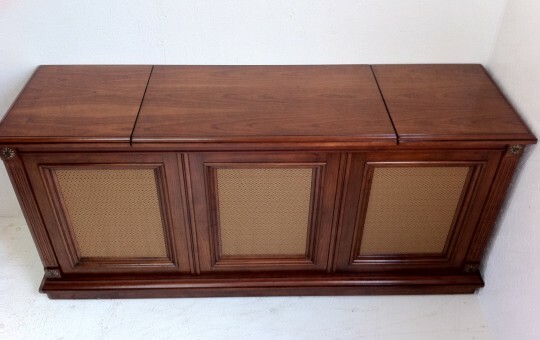 This is an example of one of the many beautiful pieces that Heath Refinishing has had the privilege of restoring. One of our customers dropped off a gorgeous hand-carved piece and we were instantly captivated by the beauty of the chair. 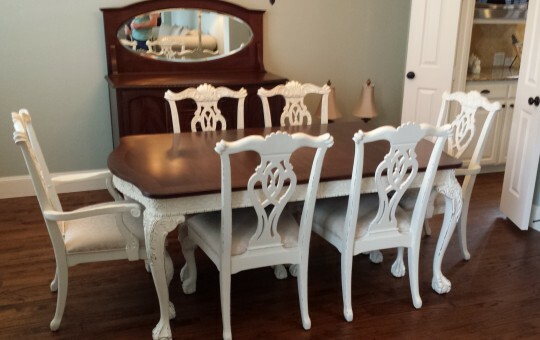 It was in several pieces and in dire need of refinishing. 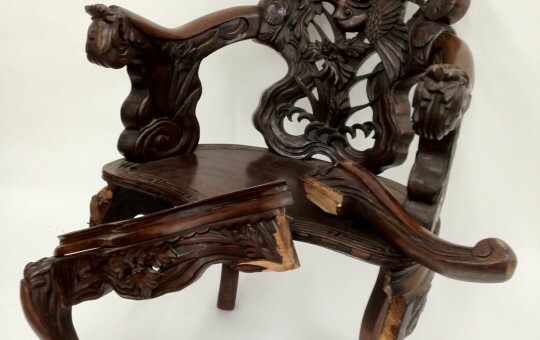 The first step was to strip off the old finish and clean the chair with a lacquer thinner. Then the chair was completely disassembled, re-glued and reinforced with screws. After letting the glue dry, all of the gouges and old nail holes were filled with wood filler. There were also large chunks of carvings missing from when the leg was broken. 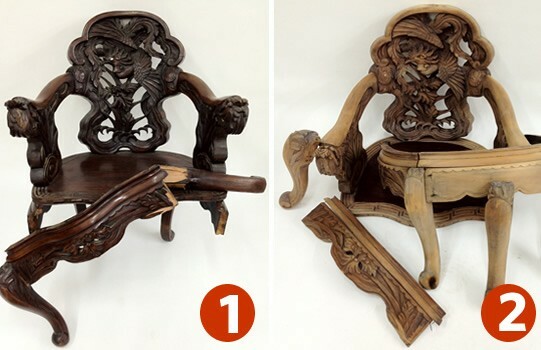 Our technicians were able to fill in the missing areas and re-carve the details to restore the original artwork on the chair. The chair was then sanded with 150-grit sandpaper and stained to a medium dark walnut color with an oil based stain. To preserve and protect wood, two coats of Mohawk brand pre-cat sealer were sprayed onto the chair then lightly sanded. 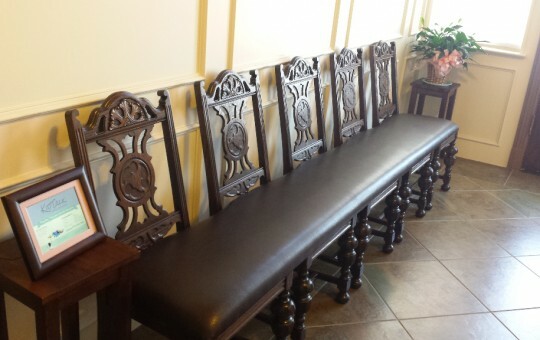 To accent the intricate hand carved details, a dark mahogany glaze was then brushed on. 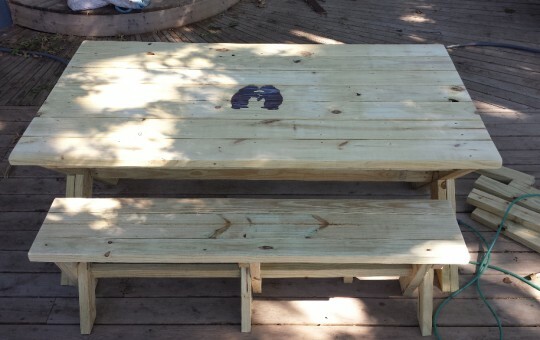 Last, two coats of Mohawk brand pre-catalyzed lacquer were applied. 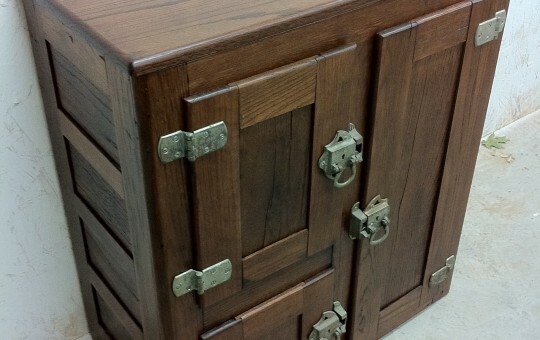 At Heath Refinishing we apply all of our finishes with top of the line spray equipment in a dust free spray booth. As you can see in the finished product, this allows us to achieve a flawless and beautiful finish every time. Many people have beautiful pieces like this stowed away in an attic with the belief that it is beyond repair. 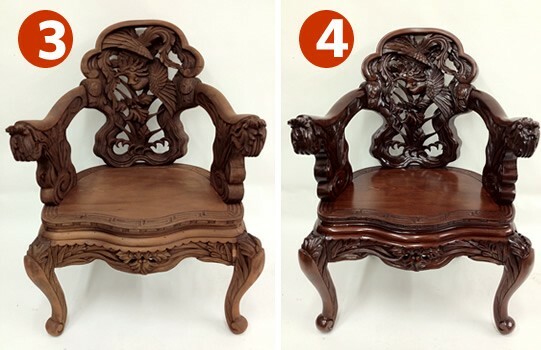 As you can see, we were able to give this chair a new life and make our customer happy.